What's the best Samsung laptop? If you've settled on a Samsung, then you're probably wondering what the best Samsung laptop is for your budget. Here we've gathered together the top models for your delectation. But if you don't want to buy a Samsung, check our 20 best laptops in the world piece. If it's a netbook you want, look at our 15 best netbooks. Offering bags of style, great usability and stunning big-screen entertainment, the R730 is a fantastic laptop for the first-time buyer. This is still one of the best entry-level laptops you can buy in its price range and comes highly recommended. 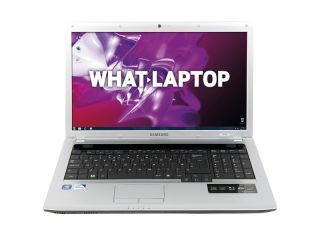 The Samsung Q330 is a fantastic mid-range laptop and a strong ultra-portable. Its performance particularly impresses given the slim chassis and slimmer price, while the overall build quality is something we'd expect from a more expensive machine. We'd highly recommend it to anyone who wants a reliable machine for use on the go. At the most fundamental level the N230 succeeds, in that the 628-minute battery life is awesome, and it's a very easy machine to use, with a fantastic screen and near-flawless typing experience. The R590 is the perfect evidence of the way Samsung has been creating some truly great laptops lately. The new design is great, as is the power, performance and usability on offer, making this laptop hard to ignore. The Samsung P580 has a fair amount to offer professional users, with a worthy specification and solid range of features. The TFT display is perfect for working on the move, and it has strong overall build quality.